At Fraley Cooper Professional Court Reporters, we pride ourselves in meeting your needs. 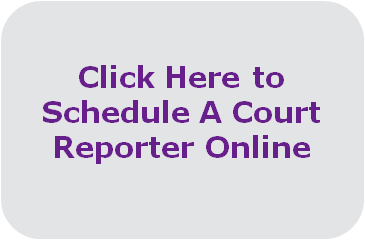 This includes services that go beyond a typical court reporting firm. Our litigation support services can help in a number of ways. . .
Our Litigation Support Services help lawyers prepare and present cases in court by indexing and organizing documents, databases, and exhibit preparation. Documents are organized into searchable databases for review and production. Fraley Cooper also can help with presentation at trial. Our Litigation Support Services help to reduce prep time, eliminate the need for duplication of demonstrative evidence for each jury member, reduce trial time since exhibits are instantly available. . . no more fumbling through exhibits. You can bring up any exhibit at any time without any prep work needed. Litigation Support Services also offer the ability to search transcripts for key words on the fly to assist in witness recall or impeachment. In addition, retrieval of documents is much quicker, thereby helping the witness' recall. If you are presenting a lot of visuals during trial, this is the most efficient way to proceed. Exhibits can be enlarged, optimized and viewed on large projection screens. This also helps you to clearly demonstrate major points during closing arguments. See below for contact information to call Fraley Cooper and learn more about our Litigation Support Services!